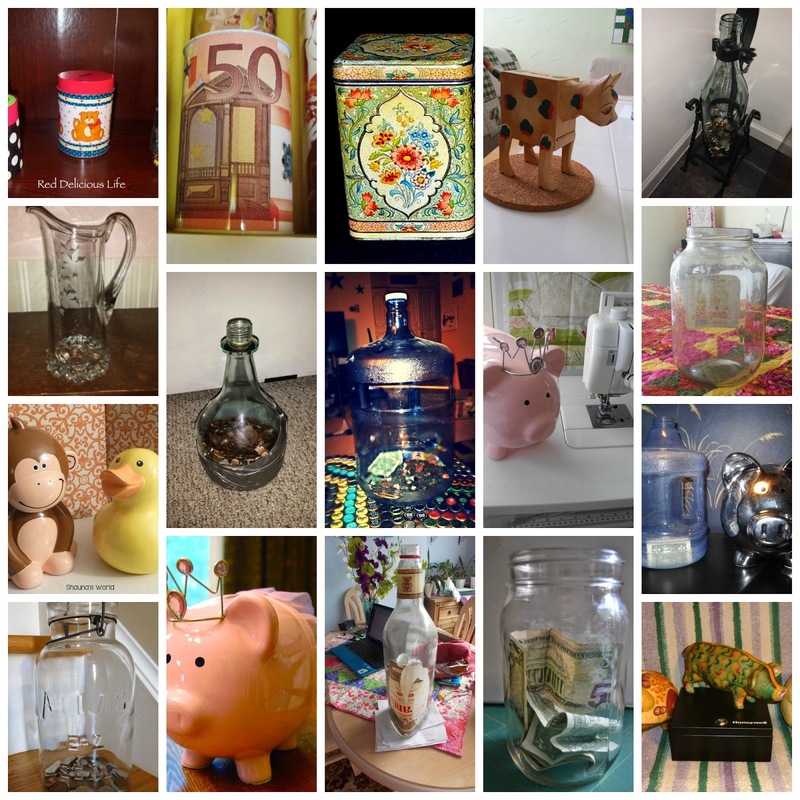 Val's Quilting Studio : 2nd Annual Piggy Bank Challenge Participants! Hey guys! Thanks for joining my coin challenge! I've extended the linky closing date to July 20th. So there is still time to link up and join the challenge! Seriously...look at all our very cool "piggy banks" so far! Heck two of you actually have piggies with tiaras! Love that! Of all the linky parties...I have to admit, this one has been so fun! Because of all of you, I've actually found myself being more intentional about my coin savings...even getting ready to have a garage sale just to boost my savings...and of course, cleanse the ol' household of "stuff". Looking forward to how much we all save, then purchase this time next summer! Btw, anyone notice I haven't set a "purchase" goal...hmmm...still thinking! This year I'm using my piggy bank savings to purchase thread and accessories for my long-arm. Anyhoo, I just wanted to say THANKS for joining in! I've really enjoyed reading all your posts. Wow! You all are fast. I haven't found a container yet. I do know I have some nice tins that are packed away. Hubby has his all set. I must have missed the linky. Sorry. Loved visiting everyone and seeing the variety of 'banks' - should be fun. I see someone has Princess Petunia's sister! I wonder what her name is….. This sounds like lots of fun. I'm going to link up once I've found something to use as my change collector. I've been thinking, I'd really like an 'Acuquilt-GO'! Wondering if I should go ahead and see how much I could save? Have a blast with this linky party. Hey Val, sorry a little slow this side. Still looking for a suitable bottle for collecting... Please consider me part of the challenge.